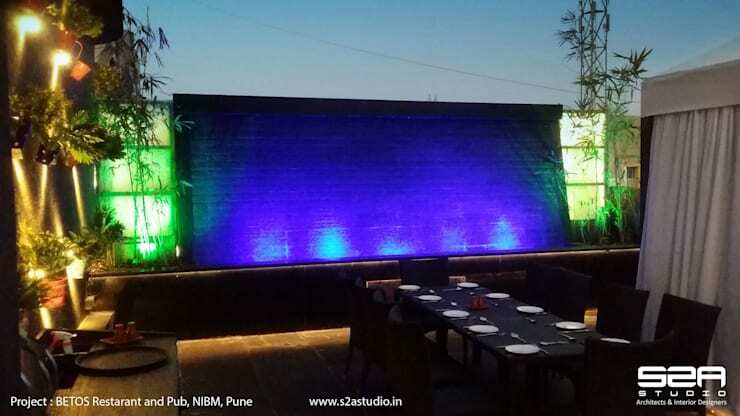 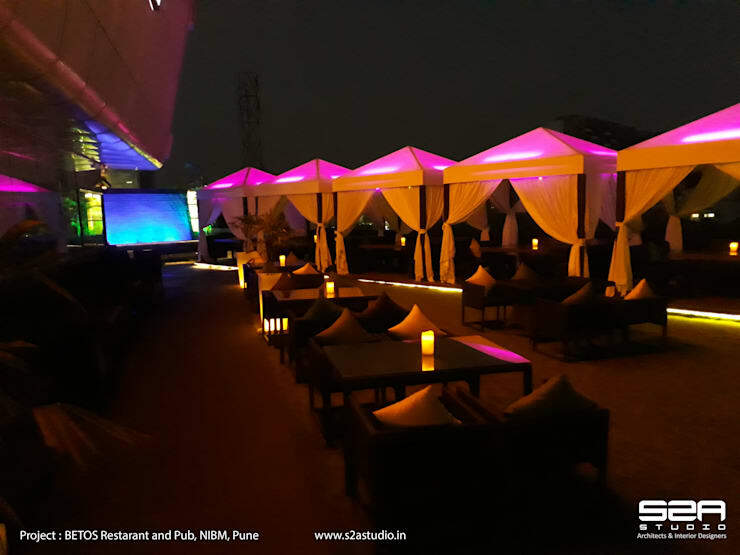 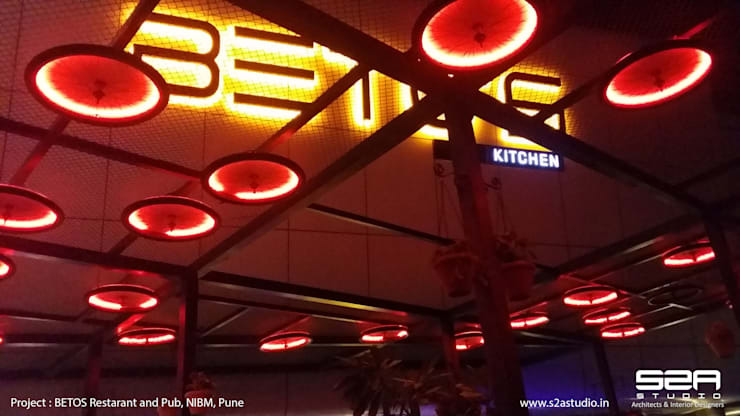 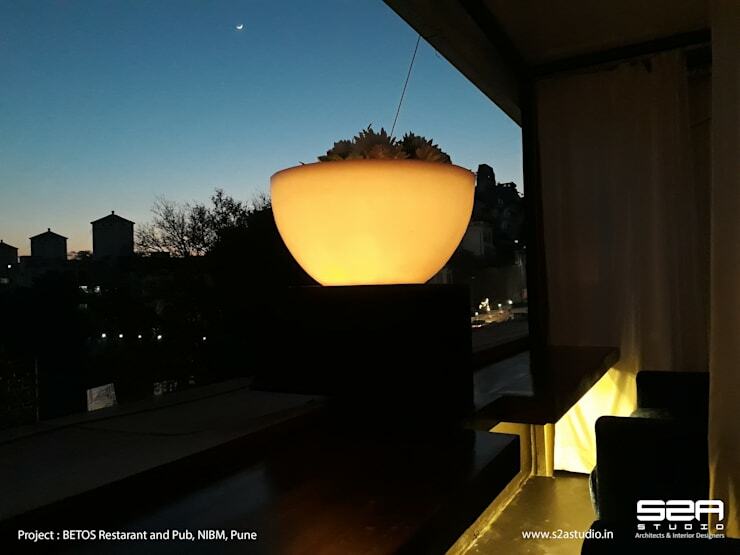 BETOS Bar & Kitchen in N.I.B.M, Pune was very challenging to design turning this 9000sqft space into a happening modern roof top Restaurant & Pub having strong budget restrictions. 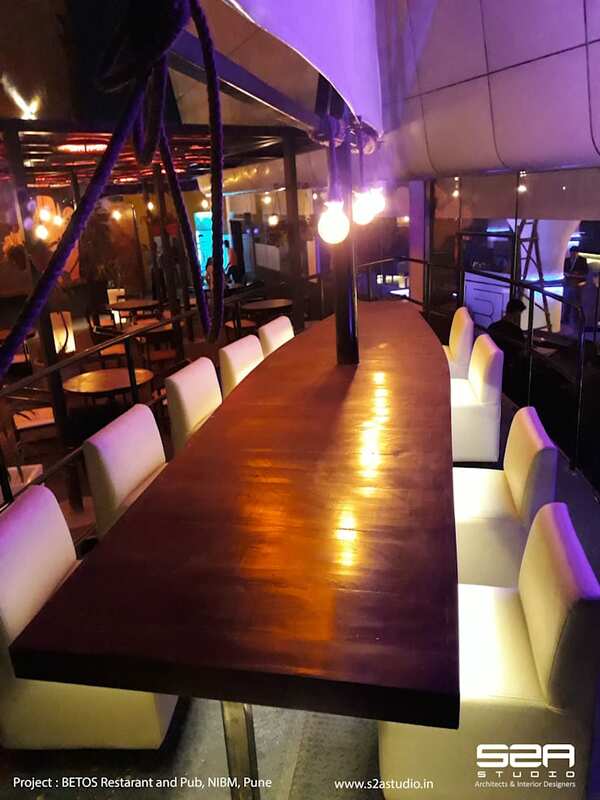 Our goal was to make maximum use of scrapped material 50% of the elements and materials are recycled turned into something interesting with raw finishes as the theme was modern and industrial-constructive design. 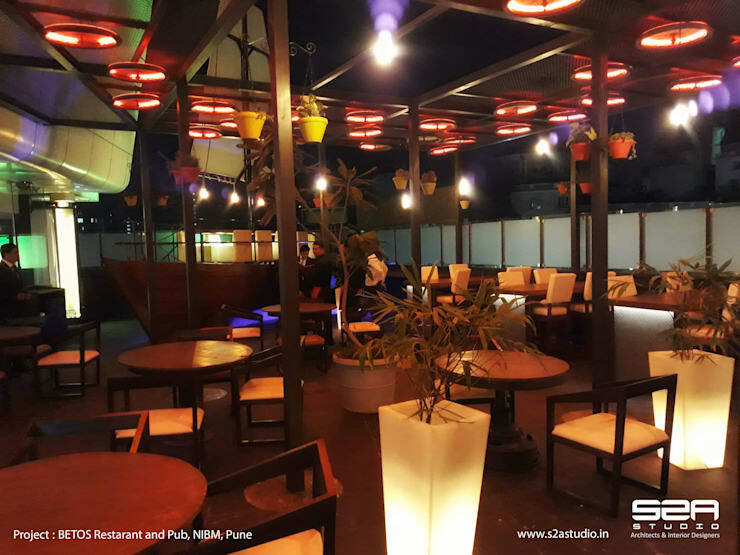 Organized 4 different spaces with their own sub themes: Terrace one serves High-rise seating for youngsters, scrapped cart and/or cycle tyres hanging on it with LED’s lighting up the entire space.Also holds a huge real boat with high sails making it the keen attraction. 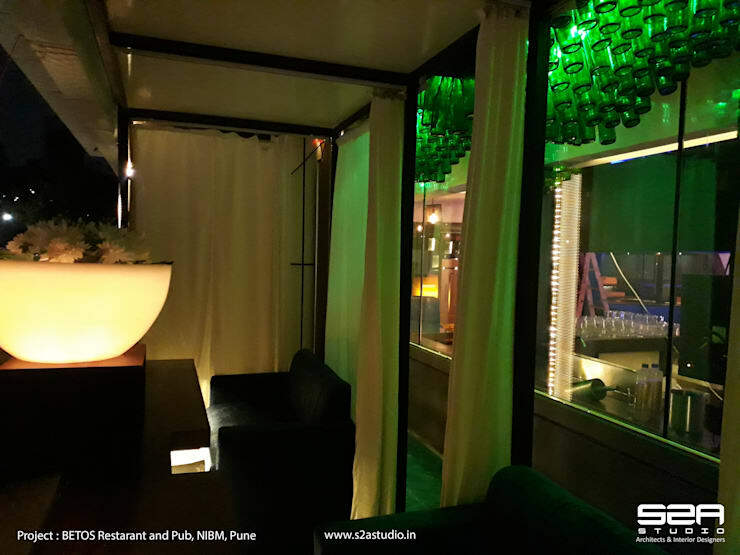 The enclosed pub (Lounge) area has modern and futuristic touch with circular columns creating a unique ambience with their shape & light effects. 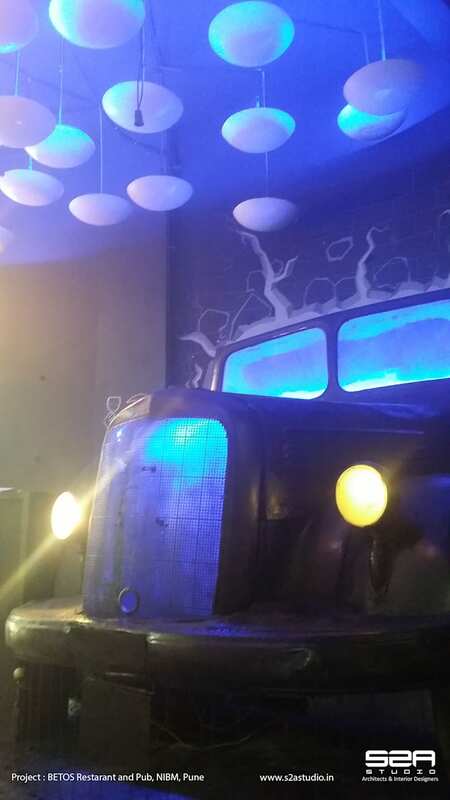 The wall is decorated with scrap gears of vehicles, machines and frames of it. 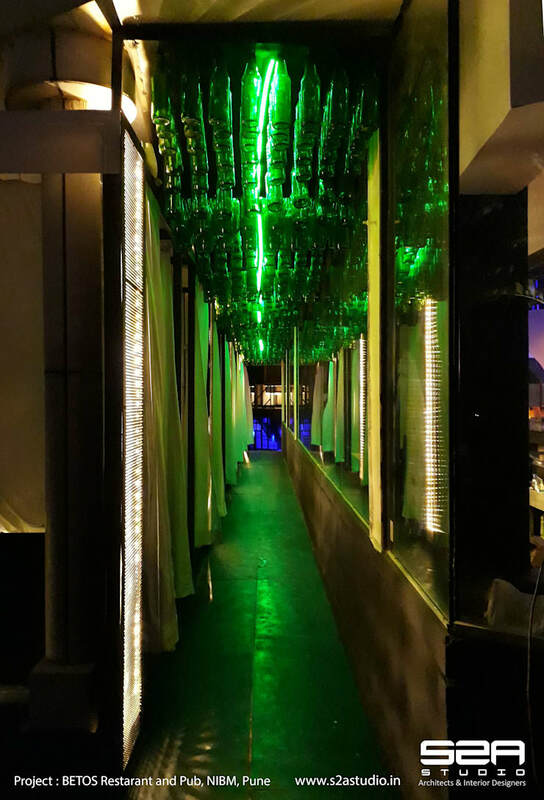 The couple’s area has cosy spaces covered from three sides and a long passage with wave formed scrapped illuminated bottles on the ceiling. 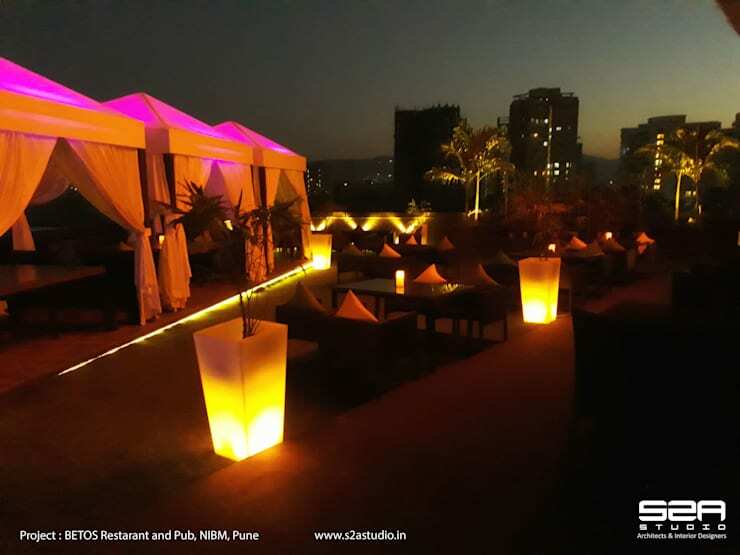 Terrace two seeks peaceful dining having cabanas with distant mountain views and a stage for live performances.